This is a BOSCH GENUINE rebuilt alternator there is a $100 core charge which will be refunded when we get your old one back. This alternator comes with a new voltage regulator. 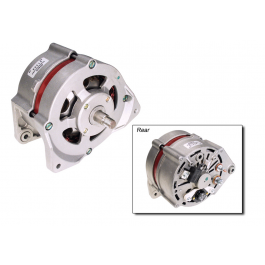 This alternator includes a 2 year warranty. This alternator will fit all 944 from 1982-1985/1.